Back in the early 20th century, the Victorian Railways in Australia ran two S class steam locomotives, first without streamlining and later with streamlined Art Deco styling. Australian LEGO train builders Alexander and Teunis Davey have collaborated to build both versions of these vintage trains. 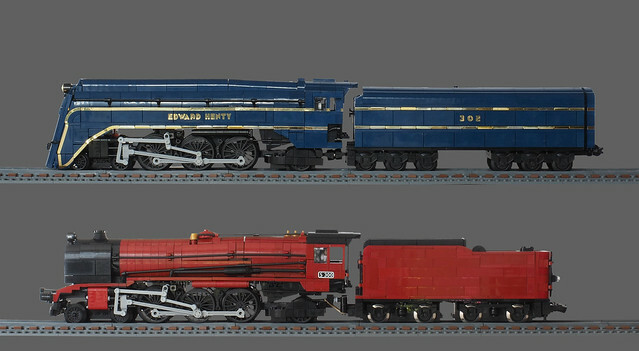 The earlier version looks beautiful in dark red with black details, while the later streamlined version looks fantastic in dark blue and gold. Alexander users a number of custom elements in the locomotives, including 3D-printed rods and valve gear, as well as the gold locomotive names and trim. 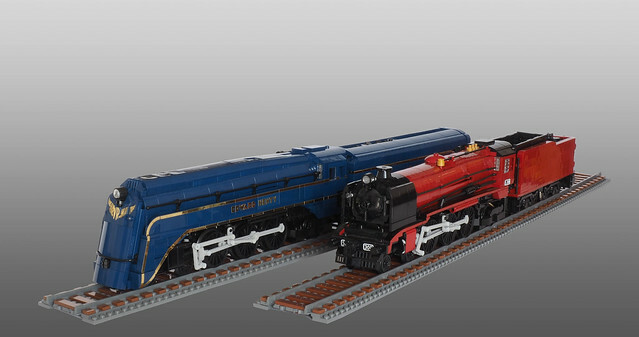 As much as I love the Art Deco look of the 1937 train, I’m smitten with the classic look of the original, unstreamlined locomotive.